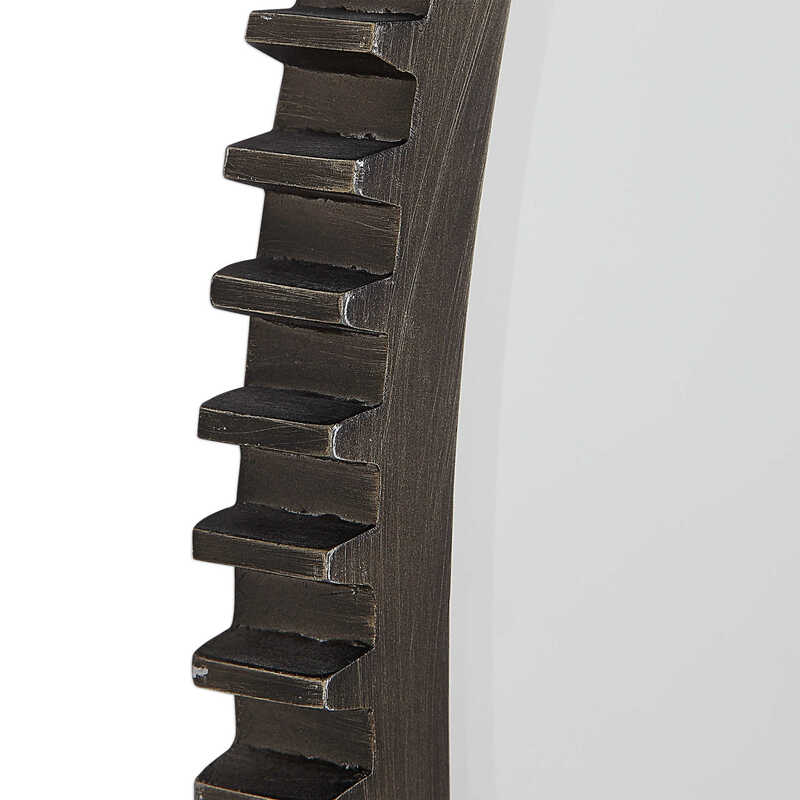 This piece showcases an industrial take on the timeless gear design. 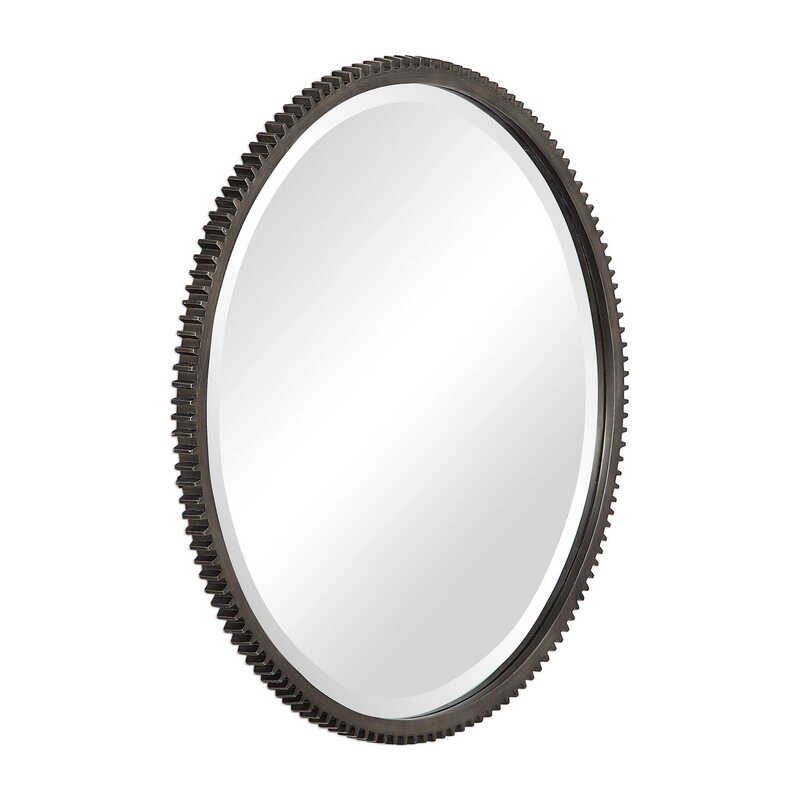 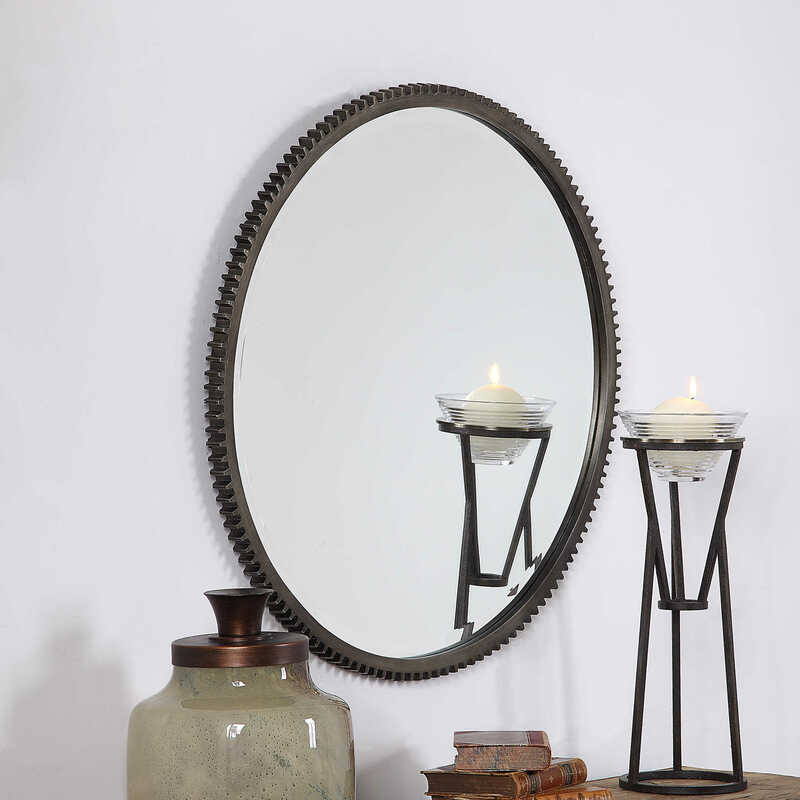 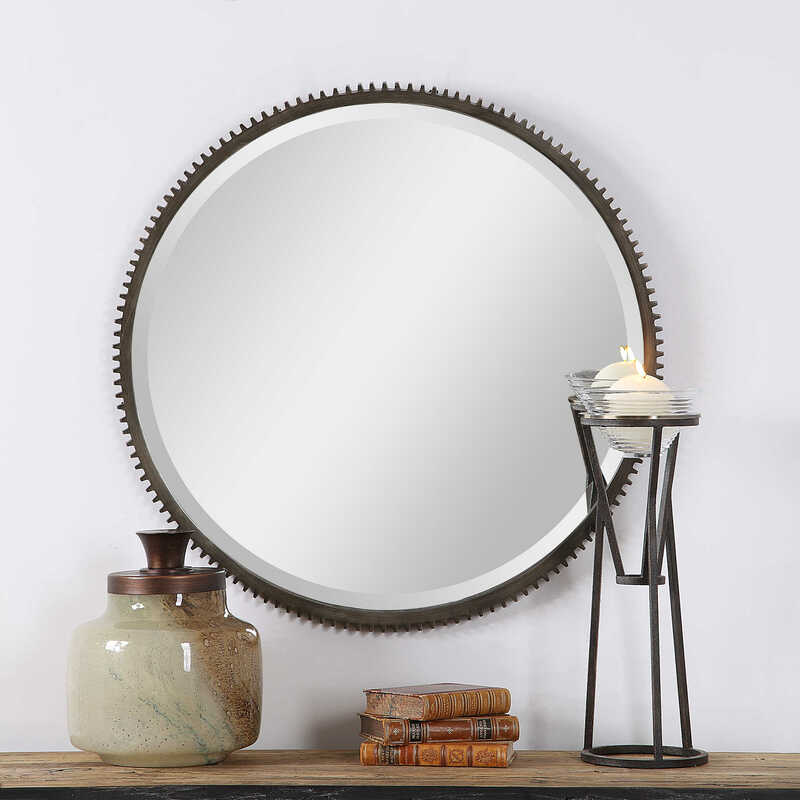 This mirror features notch detailing on the entirety of its frame, finished in a lightly distressed aged bronze. 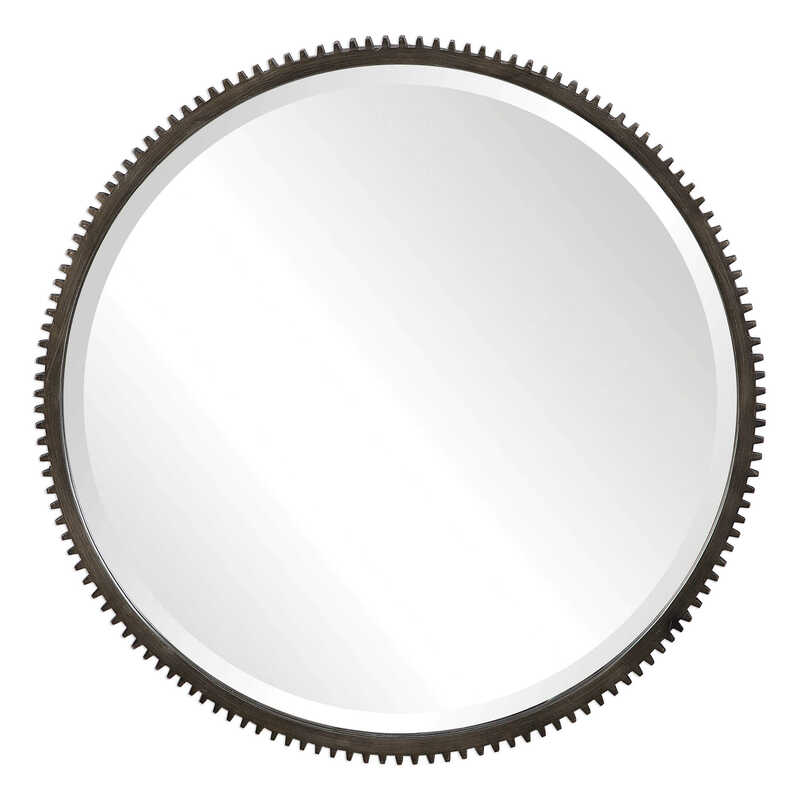 The mirror is surrounded by a generous 1 1/4" bevel.